Puppies from eight weeks of age can begin their socialisation and training at one of our training grounds both at the metropolitan and country branches of our club structure. Many of these puppies come through our puppy listings scheme from breeders within the club and are given information about the branch in their area and the importance of training. But we also see puppies that are purchased from other areas outside our club and club guidelines. Some owners of these puppies may not know about our club and only make enquiries when their puppy is “out of control” or behaving badly and they do not know how to correct the problem. This would be the basis of where new members of our club come from. We also have people who get an older dog, say 8 months onwards who want help with the training or want to have a dog they can take out in the community for walks and want their dog to behave in an appropriate manner in public. They make enquiries either via the website, Yellow pages or branch/club fliers and are directed to one of our branches closest to where they live for help in the training of their dog. Our club has eleven branches, ten of which are obedience based and one which is solely for the training for those members who show their dogs or to put their dog through Breed Survey. Branches are at Ballarat, Bendigo, Eastern Suburbs, Geelong, Gippsland, Northern Suburbs, Malvern, Skye, Western Suburbs and Wodonga – for info on their location, contact details and to view their specific websites see Training Locations. Branches also teach Responsible Dog Ownership so that handlers are aware of local dog laws, how handlers must pick up their own dog droppings at Council grounds or daily walks, (most council grounds supply plastic bags for this), if not handlers must take their own with them — can be bought at Pet Stores or Supermarkets, dogs must not be allowed to be a nuisance by barking, (council ranger will possibly visit if neighbour reports dog to council), dogs must not be aggressive to other dogs or people for that matter whilst in public, handlers must be aware of the Companion Nuisance and Feral Act and its consequences. This is very important that every member is aware of and abides to those rules so that our breed is not the nuisance factor in yours and local communities. Because of the stigma towards our breed it is vital that members dogs are model citizens and their owners are aware of their responsibilities to our “Breed”. 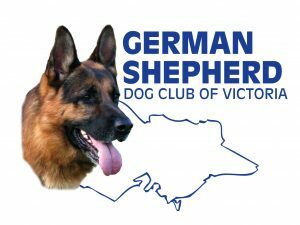 If you find yourself in one of the above categories and wish to commence training your German Shepherd then after finding out about the branch nearest you, both you and your dog would be most welcome to join our club and train at one of the listed branches. As you can see just by this list a lot of time and effort is put into training by the Obedience Training Committee, branch Chief Instructors and Instructors alike in the training of obedience members and the reward to them for this is to see members progress through the respective classes with a well socialised and behaved dog. Puppy training commences at eight weeks of age until six months of age when they are passed to Class one. They then progress from class one to class four to get to a standard where members can choose if they wish to trial and which is what we would want to see them aspiring to. Our breed it is claimed is not the best herding dog in the world, or the best tracking dog in the world, but overall to be the best working dog in the world, so what better way to see the working capabilities of our breed than in the trial ring competing against all breeds of dogs large and small at different levels of obedience. Of course there are many other areas where our breed is trained in service to humanity and excel in those areas sometimes making the supreme sacrifice doing what they were trained to do. Other areas for handlers and dogs to take part in when they reach the higher standards are the demonstration teams at branches which are asked to take part in school fetes, local council organised expos, Pet Expo, Royal Melbourne Show, Royal Children’s Hospital Good Friday, the Moomba parade and any other event which may be deemed as good “PR” for our dogs. Some members are just quite happy to have their dog trained to a certain standard to be a well adjusted and socialised members of the canine fraternity and their own local communities. Our club has approximately 85 instructors at the various branches who train to the standard set in our training manual to the standard of the class they are instructing. This provides uniform instruction throughout the club and this is evident when our funday is held when members of branches can compete at their class level against members of other branches and be at that same standard. Naturally the best on the day wins the class and many factors come into this, length of time in the class, handlers nervous, some dogs easier to train than others etc. Our instructors and aspiring instructors judge and steward at our fundays which helps as part of their training and allows them to see how handlers from other branches are progressing. Our fundays include obedience classes for all levels, conformation classes for all levels, plus fun events such as: tunnelling, fastest recall, steeplechase event, musical chairs, veterans classes (dogs of course) and child handlers in obedience and conformation. Instructors are always encouraged to continue their education in dog training and a number do so by attending lectures and seminars to hear the latest on methods not only in Australia but worldwide from varied speakers on a range of topics, so widening their views and knowledge of training. This can only assist them to be better instructors, better able to help handlers. Those who think they know it all usually do not, this is always emphasised when one looks around at the attendance at the lectures/seminars and sees the trainers in attendance and their theory is that even if they only learn one thing from that particular day that is important to them. If the “professionals” think that then it is important that our instructors think that way too. Our instructors are volunteers – that is they do not get paid for the time they give. They do have to instruct 20 weeks of the 42 weeks we train to qualify and retain their instructor status, however there are more who instruct most weeks than those who do just the required amount. Our club and branches owe an enormous debt of appreciation to these instructors as the fee paid by the handler each week for training goes towards the running costs of their branches. What do we offer members who wish to train their dogs at our branches? First of all a warm welcome to the Branch of their choice and since our guidelines now include Motivation training, that providing they follow our training procedures and guidelines, plus taking their dogs for daily walks, daily short but correct training sessions so building a wonderful rapport between their dog and themselves, and keeping training fun, their dogs will respond to training very well and progress quickly. Grooming and care of their dog also assists in this area as teaching your dog to allow grooming, checking of teeth, ears for cleanliness, dogs coat and between toes in summer for grass seeds all make for a more trusting relationship between handler and dog. We would also like to think that if a problem arises that we are able to offer advice that will lead to the problem being solved. As we only see the handlers and dogs for an hour or so per week and they have them the rest of the time, we cannot be sure what they do with their dogs so it is possible at times for problems to occur. We then need to confer with the owner to find out what they may be doing that could be causing the problem and then advise how best we think to correct that situation. Really good advice for puppy owners to follow is that even though what their puppy is doing may be funny at the time when the puppy is quite small, they will grow to approx 35 kgs and would you want your dog of that size doing that same thing then. Why allow a dog to form a bad habit for the amusement factor, when later on it is not funny anymore, and you as the handler will have to correct it from the dogs behaviours. At most of our obedience trials there is a sash for “Winner of Winners”. To compete in this you must have won your class at the trial from CCD to Utility Dog Excellent classes and have a qualifying score in that class. At the end of all classes at trials, winners of classes with qualifying scores are called into ring individually to compete against each other to decide a “winner of winners”. Judges from the Open and Utility classes judge the event and the Novice judge calls the commands for the exercises as required. Scores from both judges are totalled and the winner of winners is the handler and dog with the highest score on the day. CCD class is now included in the “run off” for winner of winners. Tracking trial results are given as per grading of performance ie: Pass – excellent, very good, good or pass. Judges award these gradings as per performance of dog during tracking test.